Apollo Cannabis Clinics is a clinical network that has access to hundreds of cannabis-friendly clinics across Canada. 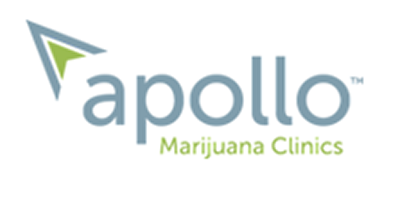 The Apollo clinic is a patient-centred clinic that is committed to providing safe and legal access to medical cannabis for eligible Canadians. If you are suffering from a chronic illness, the Apollo clinic suggest that you talk to your doctor about treatment with medical cannabis and ask for a referral to their clinic. From there, the Apollo clinic will connect you with qualified, cannabis-friendly specialists who will perform a medical evaluation and assess your eligibility. The Apollo clinic is currently conducting a study involving marijuana treatment for PTSD veterans. If you are a veteran suffering from PTSD, you may be eligible to participate in research at the Apollo clinic. This research will contribute to Canada’s effort to support the Canadian Armed Forces and advance effective treatment for veterans suffering from PTSD.